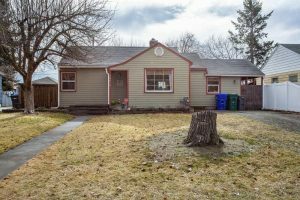 10016 N Andrew St Spokane – Conveniently located close to Whitworth and shopping! 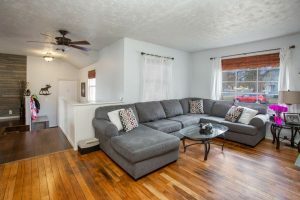 This 4 bedroom home (2 upstairs & 2 down with legal egress) boasts new carpet, paint and recently refinished hardwood floors. This turnkey home in the Mead School District offers a beautifully updated open concept main floor and large dining space. 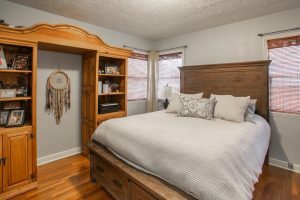 The fully finished basement is light and bright with generously sized bedrooms and a second family room. 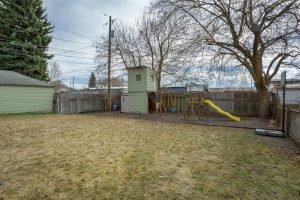 Large, fully fenced backyard with a playset and tree house! This home is located in the Mead School District.